Many men and women consider eyelid surgery (blepharoplasty surgery) because of drooping upper lids or puffy bags below the eyes. Because of the “big eyes” or “slit eyes” that resulted from old practices, patients are hesitant to undergo this procedure. However, new procedures debunk this myth. As with any medical practice, plastic surgery has developed and improved over time with new methods and solutions. The traditional approach to a blepharoplasty involved over-excessive incision/excision/dissection, which initially provided a satisfactory look. However, after the incisions healed and swelling went down, the skin tightened, resulting in the “big” or “wide” eye effect. This was a disappointment to patients and surgeons. Not only were the eyes irregularly shaped, but this traditional procedure also could result in a loss of some nerve function because of the dissection of the muscles that normally allow our eyes to shut. This scarring of the muscle and lack of nerve supply to the muscle due to the dissection was a common reason for wide or big eyes post surgery. Through years of research and and studying before and after photos, plastic surgeons are now confident in their abilities to avoid these complications and provide satisfactory results in the blepharoplasty procedure. 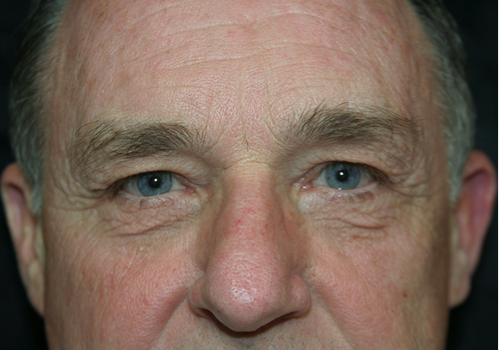 In modern eyelid surgery techniques, surgeons aim to leave some fat around the eyes to prevent a hollow look. Minimal dissection of the muscle is performed to allow eye closure and prevent the "deer in a headlight look." Minimal skin is excised, and the fat removal is done gradually from an incision behind the eyelids. This technique allows the eyes to sit naturally in their sockets, without looking wide or too deep set. The incisions in modern techniques are in the creases of the eyelids, and are very inconspicuous. The fears that patients had about “big” or “wide” or even “slit” eyes are no longer a concern because of the natural-looking results of modern eyelid surgeries. 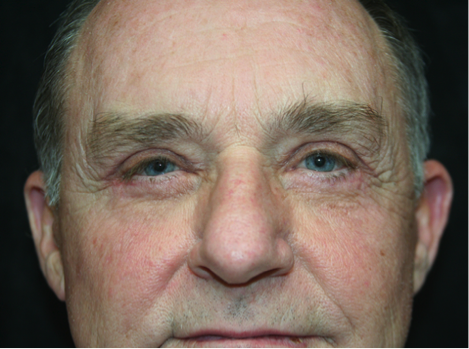 See more eyelid surgery before and after pictures.